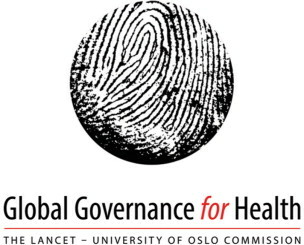 The recently published report “The Lancet-University of Oslo Commission on Global Governance of Health”, with Rector Ole Petter Ottersen head of the commission, is a very strong signal in that respect. The ills of our time have been pointed out over and over again, but our collective impotence to fix them raises the question of whether we, as humans, have reached the critical juncture of our biological and cultural conditions. The recently published report “The Lancet-University of Oslo Commission on Global Governance of Health” is a very strong signal in that respect. It merits a close reading. As editors Richard Horton and Selina Lo put it : the financial crisis “raised serious questions about capitalism’s ability to protect and sustain the well-being of populations in rich and poor countries alike...”. In the future, we will divide time into a period before and after this report, as it highlights with great accuracy the political origins of our current health inequities. Those inequities primarily rely on the diverging interests and power disparities that generate detrimental political forces, demonstrated in our current norms and rules, dominant policies, and practices. For instance, “health and wellbeing are in many instances subordinated to other societal objectives”, such as economic policies and profit goals of private actors. Interestingly, the analysis of health governance pertains to several other “vital capabilities” (to use Amartya Sen’s phrase) recognized by the “social protection floor” (Millenium Developmental Summit, 2010) and embedded in the international law on human rights. They are all necessary for the actualization of each potential human being : food, education, employment, environment, shelter, and social recognition. Let us further examine two such examples, food and the environment. Concerning food, we quote from the report : “Generally institutions, agreements, and laws related to finance and trade are more powerful than those that deal with food security”. Concerning the environment, at the same time this Lancet report was published advocating for an independent Scientific Monitoring Panel to eliminate sector isolation in terms of decisions, the Future Earth Initiative - sponsored by the Science and Technology Alliance for Global Sustainability, and including prestigious bodies such as ICSU, UNESCO, UNEP, IGFA, etc.) is mobilizing critical knowledge to “face the challenges posed by global environmental change and (…) to identify opportunities for transformations towards global sustainability”. Despite the broad scope of the Lancet report and the Future Earth initiative, we still see fragmentation of a large problem and challenge, the health condition of not only humans but also ecosystems. When taken together, they illustrate the fact that both social and ecosystem degradation (kenosis) and resilience go hand in hand and require unprecedented articulation through a systems approach. and the Scientists’ Consensus on Maintaining Humanity’s Life Support Systems in the 21st Century with Nils Christian Stenseth, head of the CEES as founding contributor. The same approach is taken at our Michel Serres Institute on Resources and Public Goods at the ENS de Lyon . The Lancet report acknowledges that perspective, as the task at hand is to manage complexity. Political leaders have not been trained to imagine positive determinants of capability integration and articulation. Each of the issues is politically sensitive, at both national and global governance levels, and becomes even more sensitive when all relevant issues are integrated in their true complexity. This is so because current institutions and policies are closely tied to power and elites, enforcing unequal distribution of power and resources, so that, according to the same editors, “the rigid consensus among these powerful elites prevents most attempts to question the norms on which political decisions are made”. If this is so, then the time is ripe for a cultural shift aimed at reframing major dysfunctions as reported : democratic deficit, poor accountability mechanisms, institutional stickiness, governance gaps, and inadequate policy space for the mentioned vital capabilities. The objective would be to enhance the resilience and the security of socio-ecosystems through legitimate institutions with the mandate to ensure authority, responsibility, and accountability. As for monitoring, diagnosing, and accounting, the ability of public science to produce powerful tools that foster transparency has never been so strong, but this requires close conversations between at least the natural sciences, sociology, economics, and legal studies. This is the way to help reverse the unnatural trend currently ensuring that, according to the report, “the power of the market supersedes the power of human rights norms”. The issue of health may serve as the necessary tipping point to bring about the coming shift because, whether rich or poor, all of us cherish health as essential. Perhaps this subject will be the one to finally initiate the changes necessary for global sustainability. As, according to the authors of the Lancet report, “the politics that generate and distribute political power and resources at local, national, and global levels shape how people live, what they eat, and, ultimately, their health”. Bouton C, Faire l’histoire – De la Révolution française au Printemps arabe, Cerf, coll. « Passages », 2013, 259 p.